When you move onto campus, be sure to pop in for a cuppa! Warwick Arts Centre is the perfect place to catch up with friends over coffee, enjoy a film or a show or just relax on our sofas between lectures. You can even get involved with volunteering or casual paid work, and we’re proud to play host to many student performances in our programme too. As one of the largest multi-artform venues in the country, we bring you the very best in cinema, visual art and live shows, including top comedians, a diverse range of music and exciting new theatre and dance. And, as a Warwick student, you can take advantage of exclusive, heavily discounted tickets. There’s also a bookshop, café, bar, restaurant and the Mead Gallery – our contemporary art gallery with FREE entry. 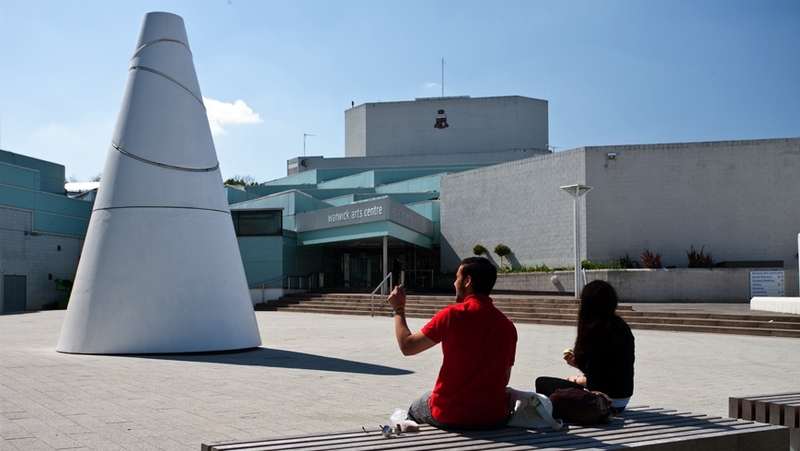 We’re located right at the heart of campus, opposite the Students’ Union – you can’t miss us, look out for the giant white ‘Koan’!